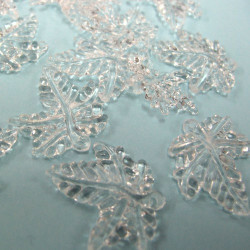 Lucite Leaves There are 25 products. Long White Leaf. Approx. 30 mm by 10 mm. Approx. 36 per Pack. 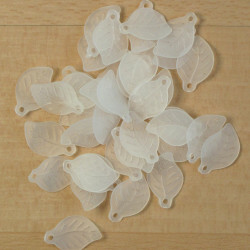 Chunky, White, Lucite Leaf. Approx. 25 mm by 15 mm by 5 mm. 10 per Pack. 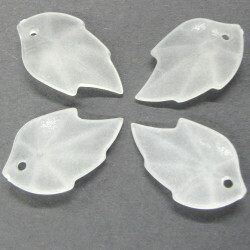 Small lucite leaf, white. Approx 38 per pack. 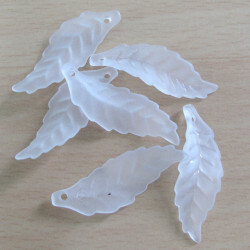 Small Lucite Leaf, White. Approx. 20 mm by 12 mm. 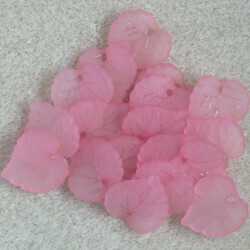 Approx 90 per Pack. 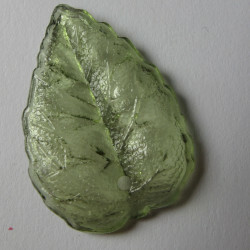 Small lucite leaf, translucent green. 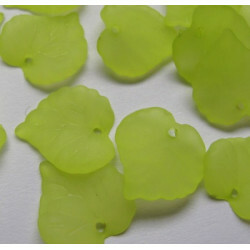 Small Lucite Leaf, Translucent Green. Approx. 20 mm by 12 mm. Approx. 33 per Pack. 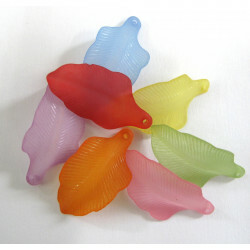 Large broad lucite leaf, blue, pack of 5. 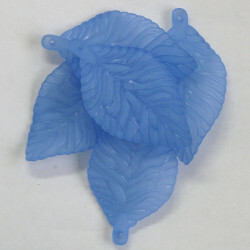 Large Broad Lucite Leaf, Blue, Approx. 54mm by 30mm, Pack of 5. 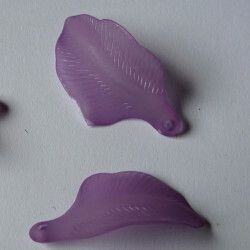 Pretty lucite leaves, mixed colours. Pretty Leaves, Mixed Colours. Approx. 32 mm by 17 mm. Approx. 17 per Pack. LF1911 - Clear maple style leaves. Per pack. 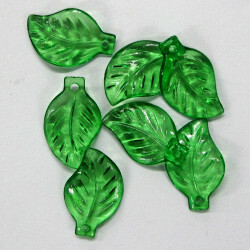 Approx 30 leaves per pack. 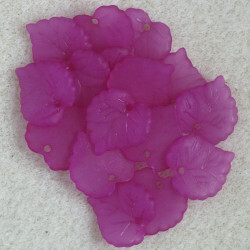 Size approx 21 x 20mm.